You likely know just how easy your slow cooker makes preparing food, but have you tried it for cocktails yet? The crock pot is actually perfect for party service, allowing you to make a big batch of warm, toasty drinks with ease. Crocktails are incredibly easy to make. From steaming, mulled ciders to creamy hot chocolate, even a little moonshine, these are fun recipes to explore. You can also take many of your favorite warm drink recipes and mix them up in your slow cooker. Simply set it on low heat and in about two to three hours it will be ready for the party. Mulled wine is a perfect place to begin your crocktail journey. It's a bit like a warm sangria but, instead of fruits, this wine punch is flavored with traditional mulling spices. This basic mulled wine recipe is incredibly simple. A couple bottles of red wine, a little sweetener, and orange peel, cinnamon, allspice, and nutmeg are all you need. You'll also enjoy the aroma that fills your home as the slow cooker works its magic. A variation on a classic mulled wine, the mulled pomegranate warmer recipe brings in some fantastic fruit flavors. It's just as easy as any other recipe and it's sure to please all of your guests. This recipe was originally designed for the stovetop, but it's even better in your slow cooker. It adds Pama pomegranate liqueur, lemons, and oranges to the warm, spiced wine base to give it extra dimension. Mulling spices do not have to be reserved for wine, they're very useful in other punches that are perfect for any cold-weather party. If you prefer a little whiskey with your spice, you'll love this recipe. The mulled spice Cheribundi recipe is a pure delight. It pairs bourbon with cherry juice, adds a few of those signature spices, and a hint of root beer. It's a smaller batch that can easily be doubled or tripled to fit your party. Warm apple cider is another way to make good use of your crock pot. Add a few cups of liquor and some spices and you'll have a fantastic drink ready for anyone who stops by. The hot gold apple cider is a fun, simple, and popular recipe. It combines cider with dark rum and Goldschläger. Not only does that add a sweet cinnamon flavor, the gold flakes give this warm drink a little extra flair. A holiday tradition that goes way back, wassail is a perfect choice for a slow cooker. This was the drink people used to serve to carolers and other guests during the Christmas season and there are many ways to make it. 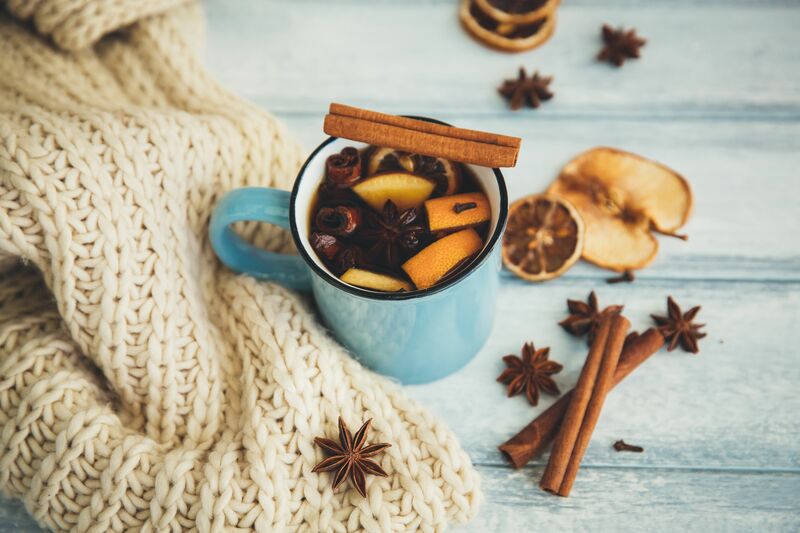 Among the classic wassail recipes, you'll find that either brandy and sherry or rum and beer are the most popular combinations. They're often flavored with winter spices and sometimes include eggs. Any wassail is very flavorful and comforting on cold nights. Many slow cooker enthusiasts have discovered that it's a perfect way to make flavored moonshine. It's a fun use of this common kitchen appliance and your bottled 'shine makes great gifts! To get you started, try the crockpot cherry pie moonshine recipe from Tammilee Tips. It's very easy and once you get the hang of it, you can use other fruits—from apple to pineapple—to create your own custom moonshine. Need to make hot chocolate for a small crowd? Turn to your slow cooker! It's a fantastic, no-fuss way to keep cocoa nice and warm and it melts the chocolate for you. The Baileys hot chocolate recipe from The Magical Slow Cooker is an ideal place to begin. The Irish cream gently spikes the mix and the recipe uses both cocoa powder and semi-sweet chocolate to create a delicious blend. For an extraordinary take on hot chocolate, turn to your favorite red wine. The fruity flavor is a perfect complement to the creamy drink and it's sure to please everyone at your winter party. The red wine hot chocolate recipe from This Fairy Tale Life is fantastic. It's also super easy, requiring red wine, milk, chocolate sauce, cinnamon, and orange zest. The best part is that it's ready in 30 minutes. Whether it's Christmas or a cold St. Patrick's Day, the Irish elf from Who Needs a Cape is a very fun recipe that you'll definitely want to try. It puts a twist on minty hot chocolate and may just become a new favorite. This spiked cocoa uses Jameson Irish Whiskey and a green mint liqueur such as crème de menthe. To get that gorgeous green color, be sure to pick up white chocolate chips as well. Fans of those popular pumpkin lattes will surely be pleased with this recipe. After all, they're so tasty that you can't help but share, right? The Farm Wife Drinks has taken all the mystery out of transforming this autumn favorite into a party-worthy delight. Her crockpot pumpkin latte recipe combines coffee and cream with pumpkin puree and spice, as well as RumChata. It's sure to satisfy any craving.